A variety of encoders are available from Velmex that deliver an ultra-precise reading of the position of the carriage (slider) of various Velmex stages. Encoders offered include magnetic, inductive or rotary modes. Velmex offers linear inductive and magnetic encoders along with rotary encoders for use in measuring position on Velmex stages. 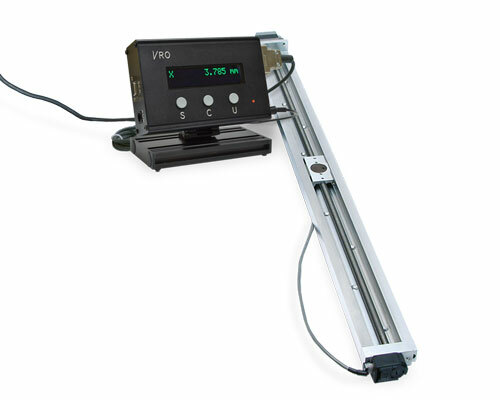 Mounted directly on the slider (carriage), the encoders deliver a true and accurate reading of the slider's movement and position. 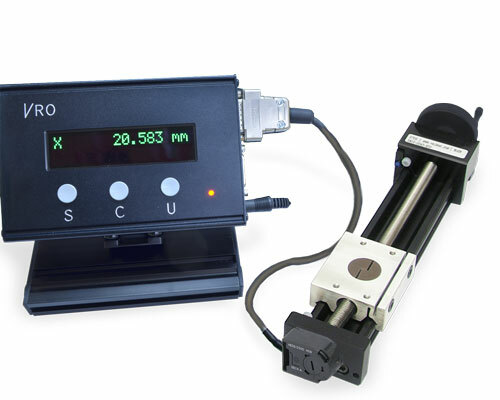 The Ultra-Precision Measurement System's direct pin-point readings also reduce inaccuracies in the lead screw or caused by backlash. Magnetic and inductive encoder alternatives today have significant advantages over glass scale technology. Inductive and magnetic encoders are more durable, use non-contact sensing, integrate better, and offer high accuracy in combination with Velmex UniSlide® and BiSlide® Assemblies. 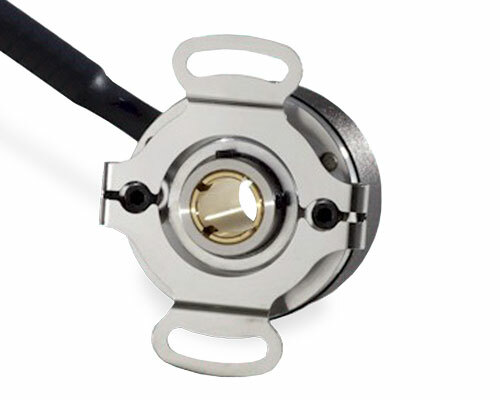 Rotary encoders are used both on Velmex Rotary Tables and on XSlide™ Assemblies. Various encoders have advantages in specific applications. 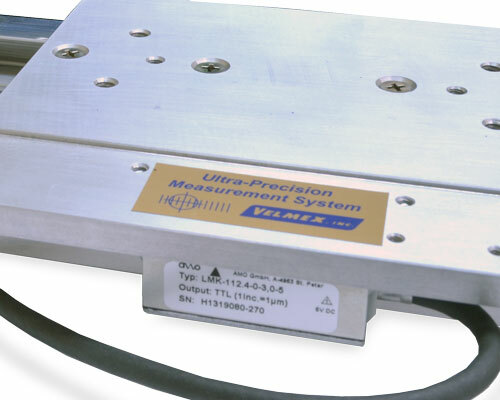 Velmex's Ultra-Precision Measurement System offers a variety of encoders to address our customers' various application needs and to complement the specific assembly it can be used on. • Ideal for rotational distance on a lead screw or motor shaft • More susceptible to dirt and external noise. Several cycles per rev (CPR) options and shaft bores are available. In addition, we have single-ended optical rotary encoders that are more compact and used with Velmex XSlide™ Assemblies. 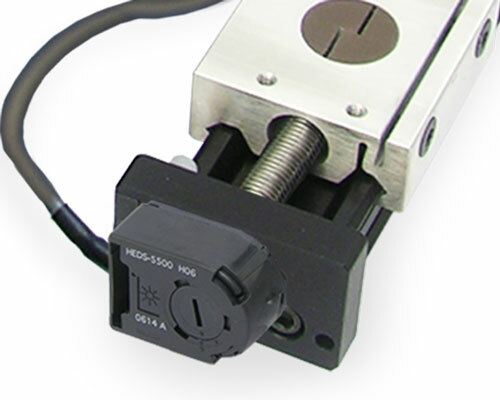 They also can be attached to BiSlide® or UniSlide® Assemblies, if a rotary encoder is preferred. The majority of encoders offered by Velmex are differential encoders, which are preferred to increase the integrity of a measurement system. 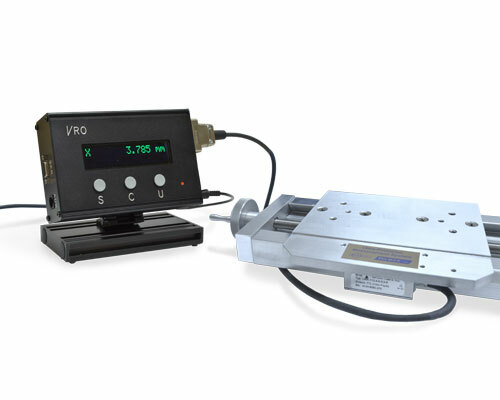 The Velmex VRO™ Readout is specifically designed to read these more robust encoders. Velmex does also offer a model of compact, modular, single-ended encorders which can interface with external electronics like the VRO. They are designed for less demanding applications. 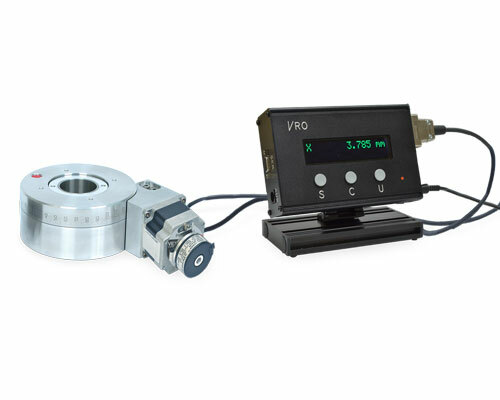 Single-ended Optical Rotary Encoder – For manual and motorized XSlides linear stages. Can also be used on manual lead screw driven UniSlide and BiSlide stages. 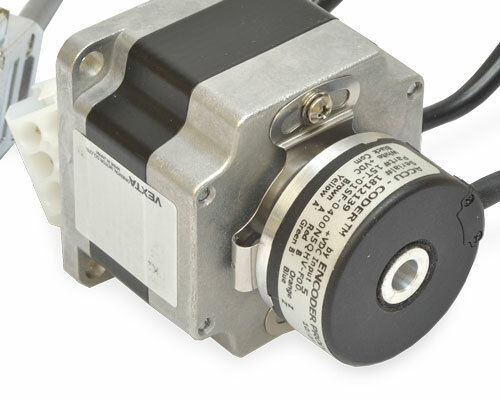 Differential Optical Rotary Encoder – For use with a double-shaft stepper motor. 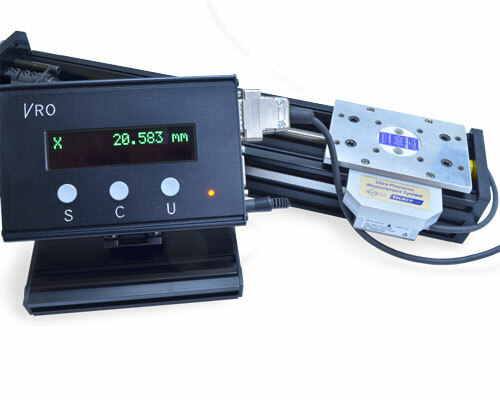 Can be used on motorized UniSlide, BiSlide and XSlide stages and Rotary Tables. Velmex offers a readout for the Encoders. 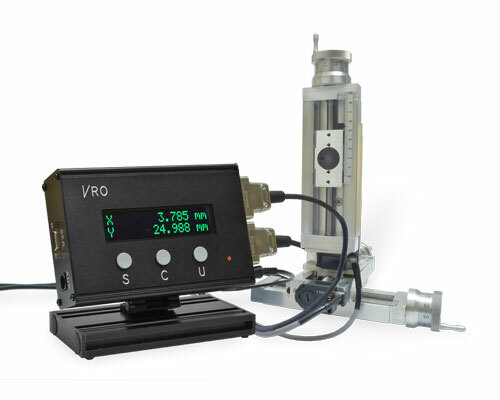 See the VRO™ Readout page for more information. *The resolution increments per rev are equal to 4x the CPR. (cycles per rev rating of the encoder) For example: 400 CPR = 1600 increments per revolution. 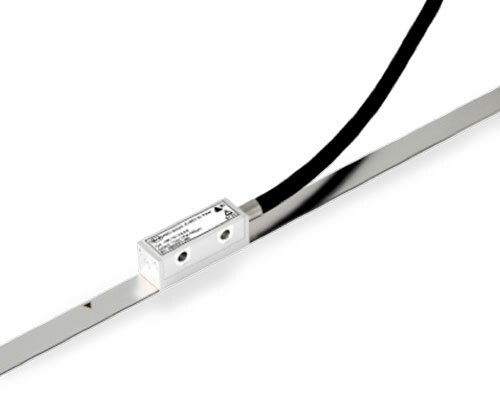 Additional standard and custom lengths are available for the linear encoder sensor tape from 3" to 228". Pictured in our gallery are examples that show various encoders the VRO connected to other Velmex products. Product and accessory offering is subject to change and availability. Can encoders be used with both the manually-operated and motorized stages? Yes, encoders can be used to determine payload positions on Velmex slides and tables. 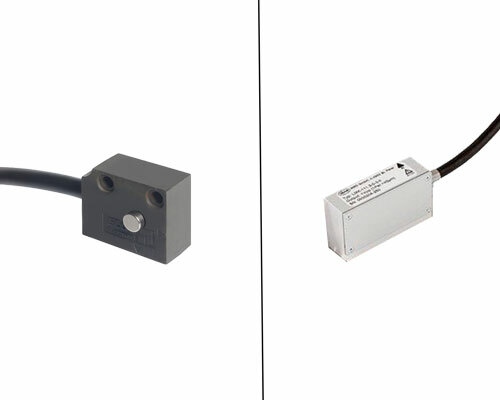 We offer inductive and magnetic encoders for UniSlide® and BiSlide® linear stages and rotary encoders for the Rotary Tables and the compact XSlide™. 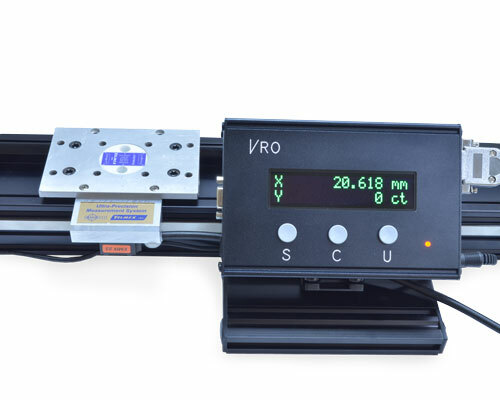 You would also need a readout like the VRO™ to interpret the data being transmitted by the Encoder. Why do you offer the variety of encoders that you do? We've selected encoders that will deliver optimum performance for the slider / stage configuration and the application. Why would the XSlide require a rotary encoder if it's a linear stage? 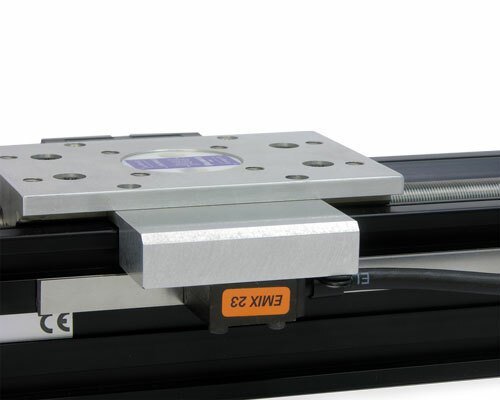 The design of the XSlide™ does not allow the use of a linear encoder. The carriage of the XSlide rides on the outside of the ways. 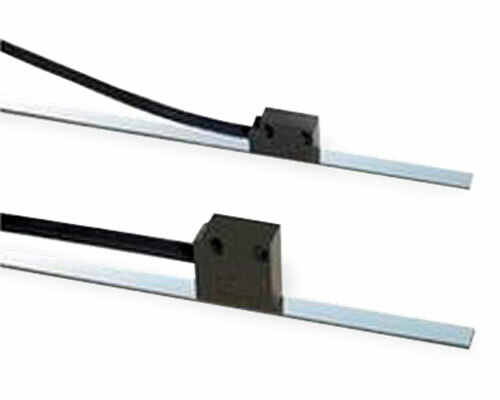 A linear encoder would inhibit the movement of the carriage. Therefore, a rotary encoder fixed to the lead screw at the end of the XSlide is a better solution. 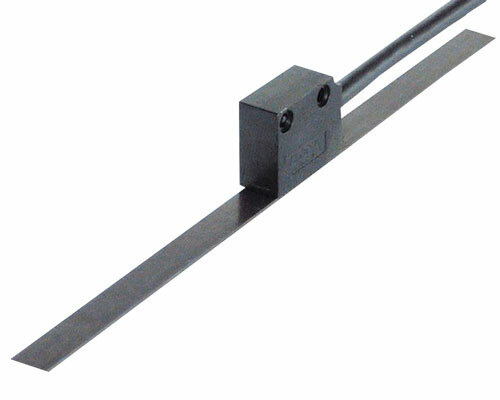 They measure lead screw rotation with a typical resolution of 0.001" or 0.01 mm. Can other digital encoder readout systems interpret the sensor readings from the encoders Velmex offers? Yes, other readouts for incremental encoders can be used. 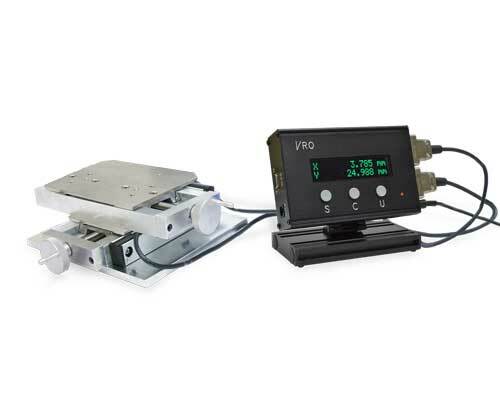 However, the Velmex VRO™ has been specifically designed for high performance and ultra-precise digital position readings for the encoders used on Velmex stages. Are there other ways to measure travel? • A lithograph scale attached to the base and index pointer attached to the carriage. To see which is measuring option is available for which Velmex product, check out that Product's Options and Accessories found on each Product Page.